We are based near Camberley in Surrey but also very close to the wonderful counties of Hampshire and Berkshire and so the hundreds of wonderful wedding venues spread across Southern England. There are so many fantastic wedding venues in the local area you can be spoilt for choice so we have listed our personal favourites below. We are delighted to be recommended Wedding Photographers at our favourite venues, The Vineyard, The Elvetham, Highfield Park and Zinnia Gardens. The Vineyard is a true 5 star hotel and award winning spa with a 3 AA Rosette restaurant and a 30,000 bottle wine cellar. The service is impeccable but not stuffy, as the staff are very friendly and approachable. The Vineyard is located in West Berkshire, close to Newbury and convenient for the M4 & A34. The Elvetham is just outside Hartley Wintney in Hampshire has 72 bedrooms and is one of the region’s finest wedding venues with 35 acres of grounds. As you come up the long driveway you can see the front of the imposing mansion house but the rear of the house and the gardens are even more impressive, especially went booked exclusively for your wedding ceremony, reception and wedding photography. Highfield Park is a Queen Anne mansion near Hook in Hampshire, now independently managed, with 58 bedrooms for overnight accommodation. Set on the top of a hill it boasts great views over the Hampshire countryside. It features two rooms licensed for civil ceremonies and unusually has Heckfield Church sat literally next door which is ideal if you would like a church wedding followed by a reception only a few yards walk away. Located in the countryside near Banstead, yet offering views over London, this spectacular venue offers a variety of different sized marquees to fit in with most receptions, as up to 300 guests or more can be accommodated in comfort. The tree lined views, gardens and open paddocks offer plenty of space for your guests, and for fantastic wedding photography. In the secluded setting of the Surrey Hills, 5 miles south of Guildford lies Gate Street Barn, a truly magnificent place for any special occasion. With a traditional barn location for your ceremony and wedding breakfast, Gate Street Barn also offers a large bar area and modern glass conservatory for gathering, chatting and celebrating. You can tempt the cows in the next field to pose in your wedding photographs or get some wonderful natural images as you walk down the quiet country lane to the pond. A fantastic country venue in the middle of Surrey. Easthampstead Park is a beautiful wedding venue based around a Victorian mansion erected in 1864 in the Jacobean style, located between Bracknell and Wokingham. It offers indoor and outdoor wedding ceremonies for up to 110 guests, the mansion has 29 bedrooms for your guests and is set in 60 acres of parkland and formal gardens. The site is run by Bracknell Forest Council, the staff are friendly and efficient, and compared to similar mansion house wedding venues in the area it is excellent value for money. You can see the full list of venues we have worked at, or search for a specific location, e.g. "Winchester". 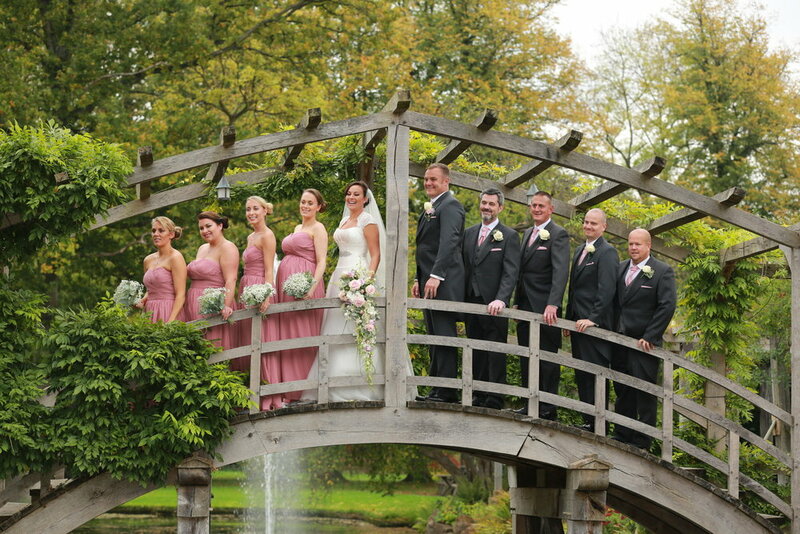 We hope you can use these venue photographs taken on actual wedding days to help narrow down your choices. Some venues can look very plain or corporate when you visit them so these images can help you visualise how your wedding might look at each location.